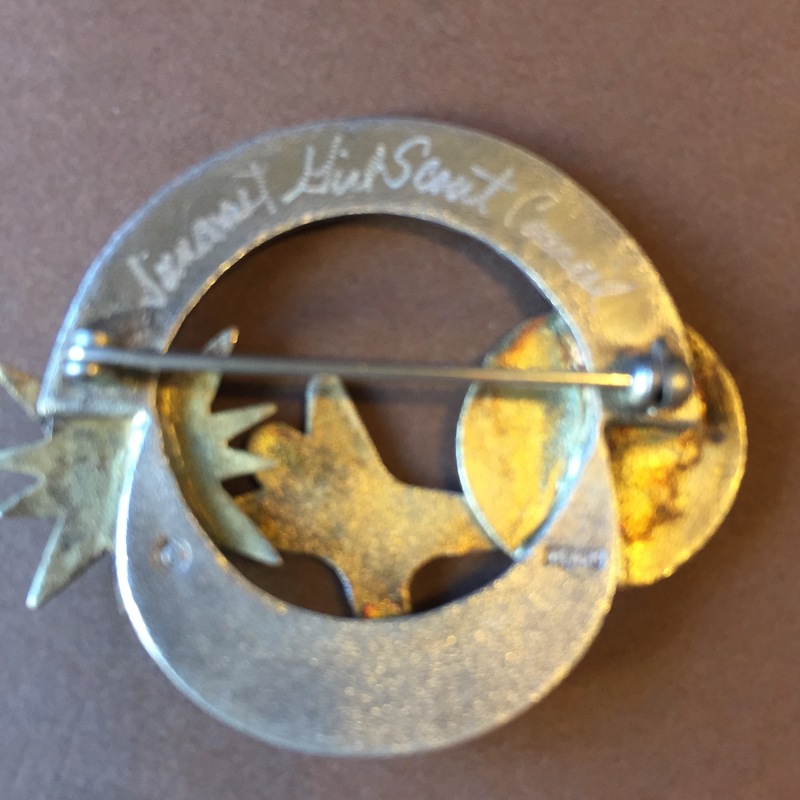 What is your favorite piece of Girl Scout memorabilia? Your sash? An old handbook? I had plenty of time to think about this yesterday, on my six-hour drive home from the North Carolina Collector’s Show. Aside from my old vest, I think my favorite is this unusual pin I purchased a few years ago on eBay. I wore it at the show, too. 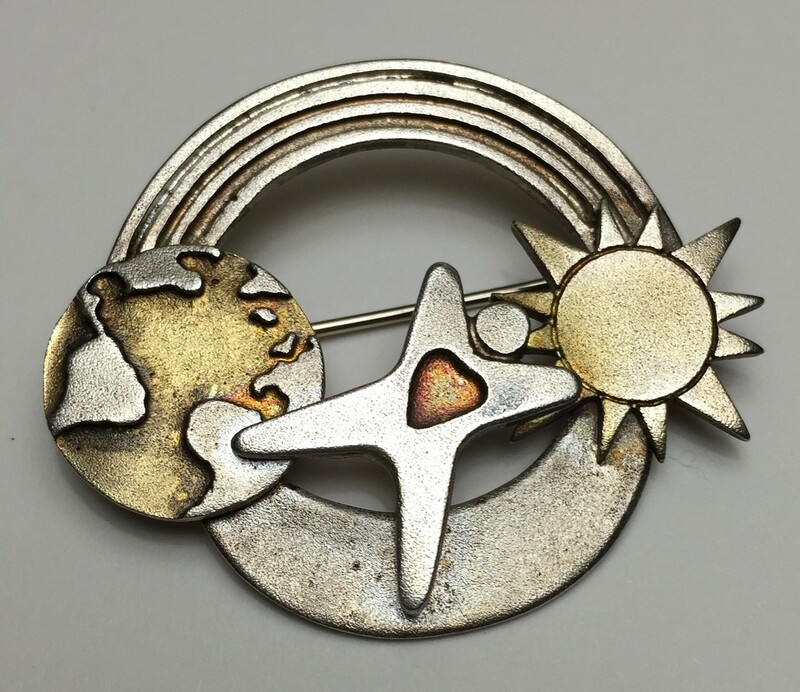 The pin is about 1.5 inches in diameter and stamped “sterling” on the reverse. However, the globe, sun, and heart have a slight golden color, which may be from another metal as well. The pin is engraved “Suncoast Girl Scout Council” on the back of the rainbow. 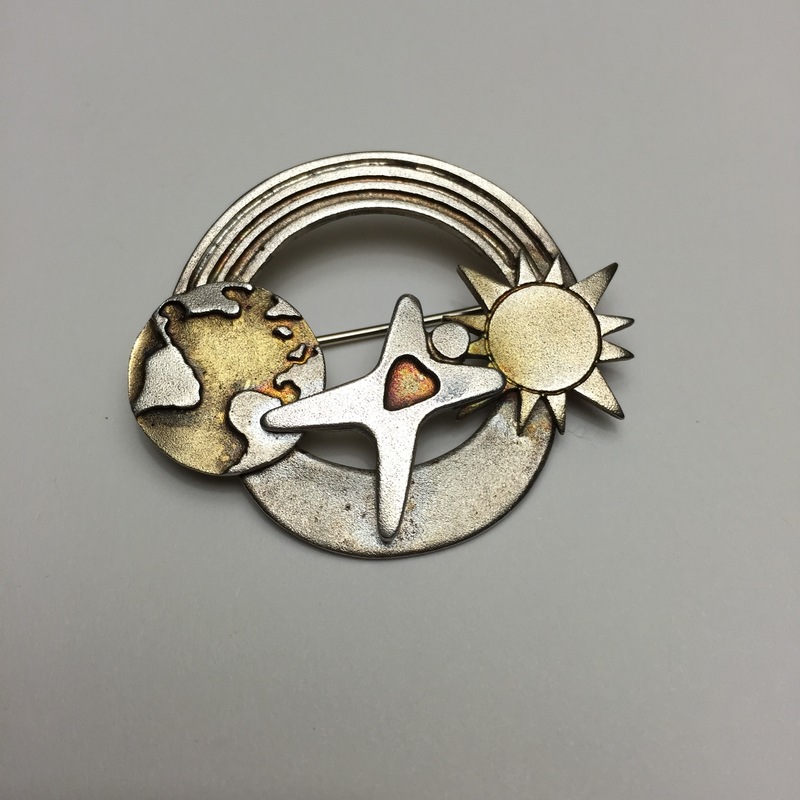 The pin is probably from the 1980s, as the symbols are those of the old Worlds to Explore program. Suncoast council disappeared in 2007, when the Girl Scouts of West-Central Florida was created. I don’t know the story behind the pin, but I suspect it was custom made, perhaps as a gift to a special volunteer or board member. I don’t know how it ended up on eBay, either. But I am happy that the mystery pin wound up in the hands of a Girl Scout who appreciates its symbolism. I am proud to wear and share this unique conversation piece.